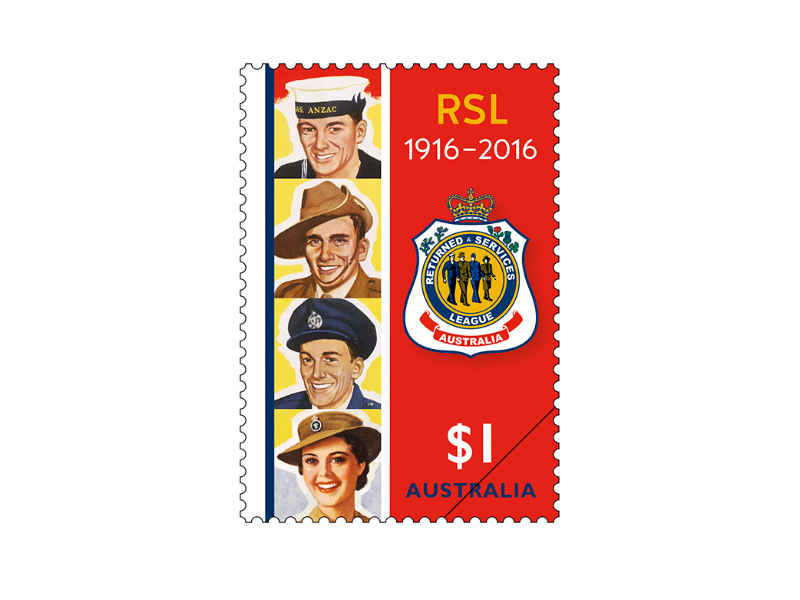 The Returned & Services League of Australia (RSL) is one of Australia’s oldest and most respected national organisations. 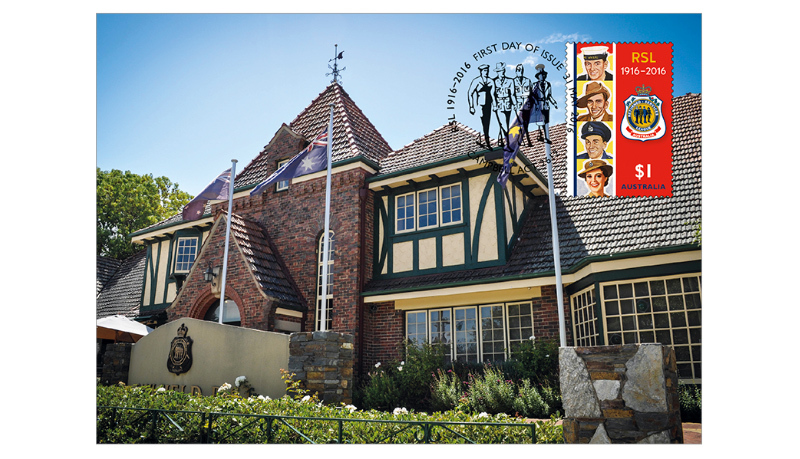 Its primary mission is to ensure for the wellbeing, care, compensation and commemoration of serving and ex-service Defence Force members and their dependants. This includes caring for the sick and elderly; providing grants and scholarships; perpetuating close and kindly ties of friendship created by mutual service in the Australian Defence Force; preserving the memory of those who suffered and died for our nation; and promoting the defence of Australia. 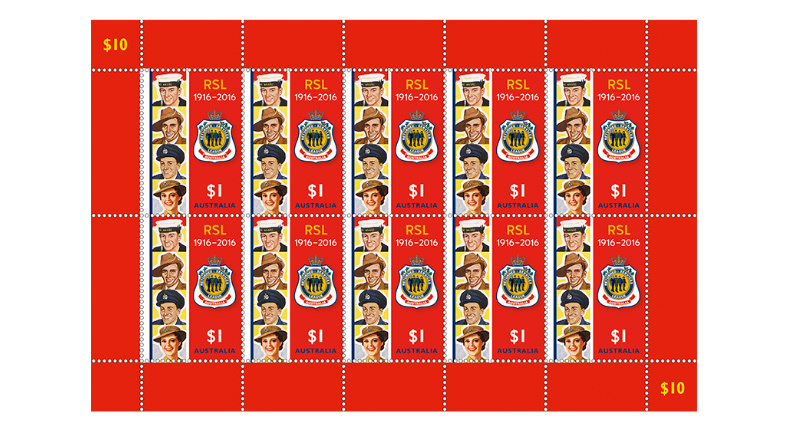 In the early days, the RSL was instrumental in organising Anzac Day and Remembrance Day commemorations. It also advocated for veterans’ entitlements, the protection of former battlefields and the rights of serving soldiers, sailors and airmen. 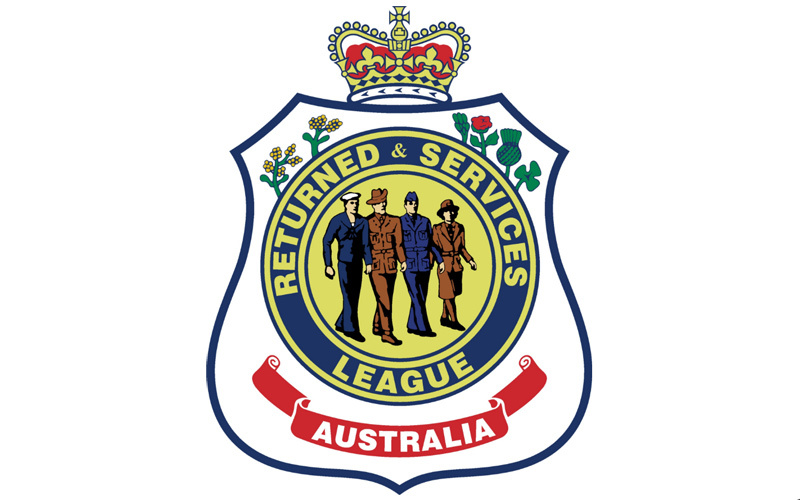 The League was initially established to care for the welfare of servicemen returning from the Great War (1914–18). 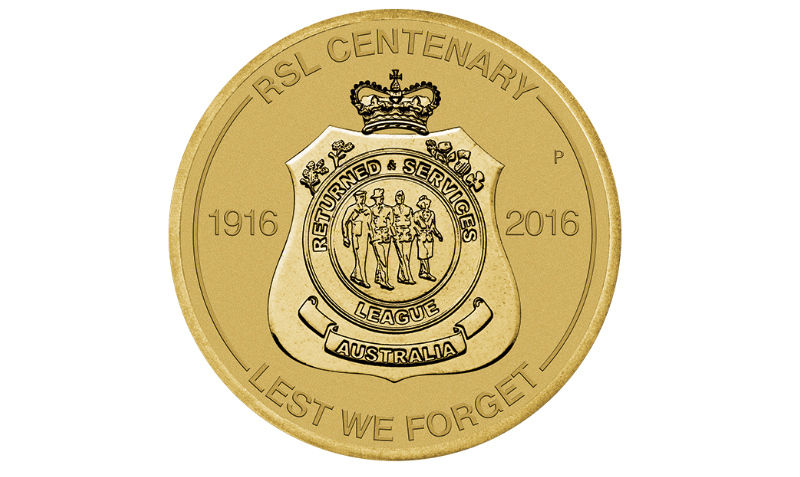 In September 1916, a conference in Brisbane recommended the formation of The Returned Sailors and Soldiers Imperial League of Australia (RSSILA) which included representation from Queensland, South Australia, Tasmania and Victoria. New South Wales was admitted in 1917, Western Australia in 1918 and the ACT in 1927. The name has undergone several changes; the current title was established in 1990. 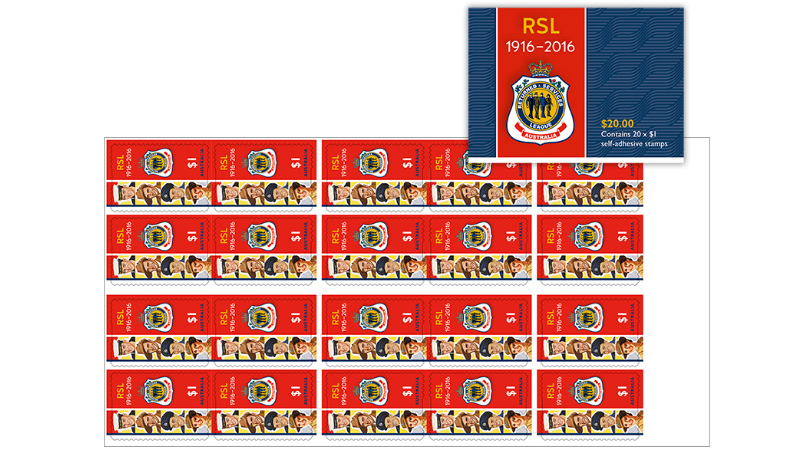 Since its foundation, the RSL has grown to 1,200 sub-branches Australia-wide with more than 170,000 traditional and affiliate members, making it the largest ex-service organisation in the country. 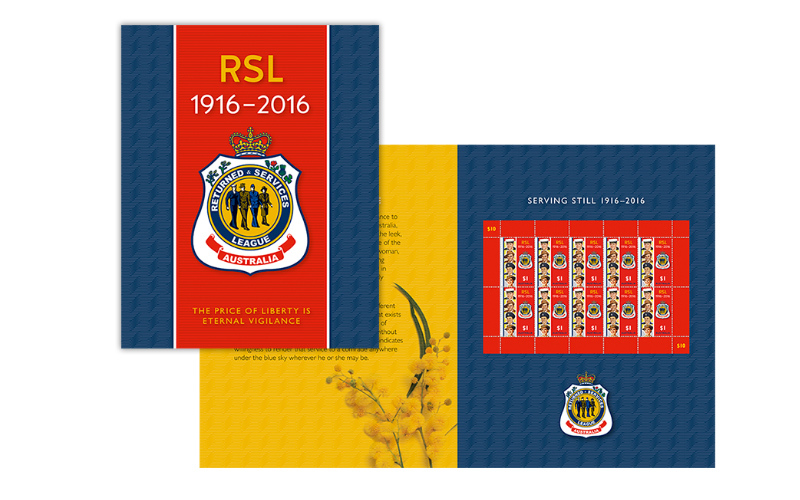 The RSL’s motto is “The Price of Liberty is Eternal Vigilance”. PNC 2016 Issue 14, limited to 7,500.